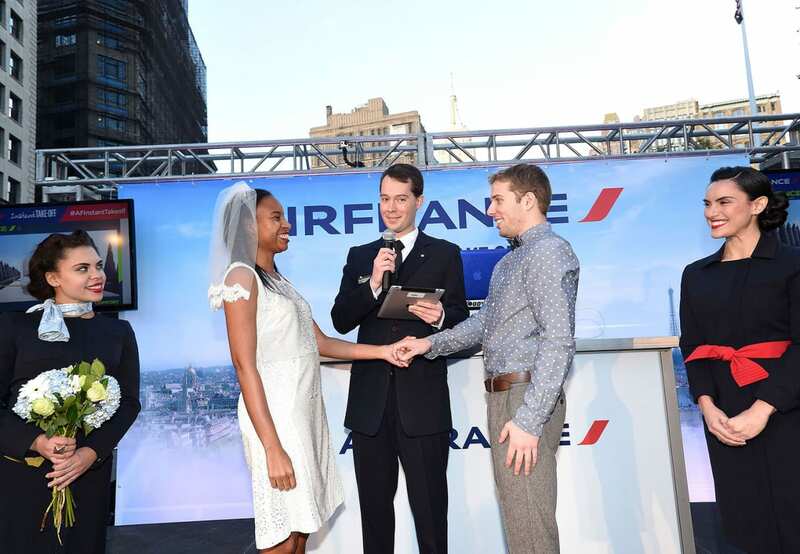 Air France on Oct. 24 whisked four lucky people from New York to Paris as part of its Air France Instant Takeoff event held that afternoon in New York City’s Flatiron Plaza—and in a surprise, unplanned move, “married” a third couple on the spot. The promotion was part of a strategy to raise awareness among New Yorkers for the airline and its brand repositioning as dynamic and consumer-focused as well as classic, elegant and, of course, very, very French. Contestants pre-registered at a custom-built microsite, airfranceinstanttakeoff.com, for the chance to win a trip for two to Paris. The night before the event, participants received an email indicating the location of the random drawing, which took place between 4 and 6 p.m. at the Air France pop-up. 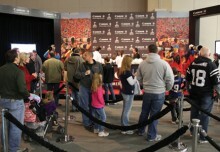 More than 5,000 people registered and nearly 400 lined up beginning at 9 a.m. with luggage and passports in hand for admittance to the first-come, first-served event for 200 participants. While awaiting the drawing, they noshed on French bites and sparkling cider and shared images taken at an on-site photo booth. 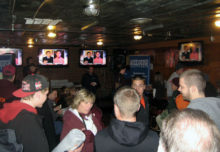 A dj and an emcee kept the crowd amped up. When staffers found among the crowd an engaged couple hoping to win a trip to Paris to elope, they jumped into action—running to nearby 47th Street to buy rings, grabbing flowers from a nearby florist—and within 45 minutes held a ceremony on the spot, complete with a flower girl (and her mom), who were likewise vying for a trip to Paris. The dj cued up “Here Comes the Bride,” the bride changed into the wedding dress she had packed in her suitcase and a flight attendant performed the ceremony. The newlyweds received tickets for their honeymoon, to be taken at a later date. Two winning couples were escorted that night by private car to JFK for premium economy seats on an Air France flight to Paris along with hotel accommodations, lunch and a visit to The Louvre. A film crew caught it all for content that will be disseminated online. Agency: Michael Alan Group, New York City.